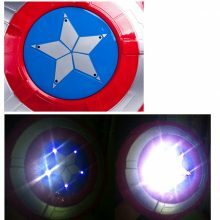 Captain America’s shield is virtually indestructible under normal conditions; while cosmic and magical or godly opponents have broken the shield, the shield proves strong enough to absorb Hulk’s strength, and repel an attack from Thor’s mystical hammer Mjölnir without any visible damage. 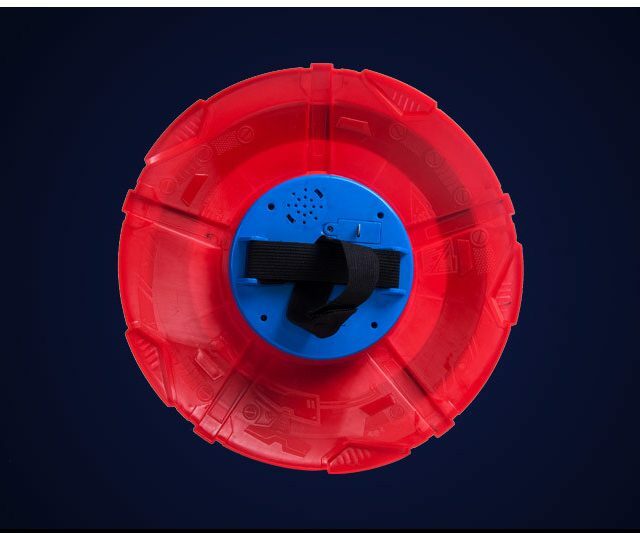 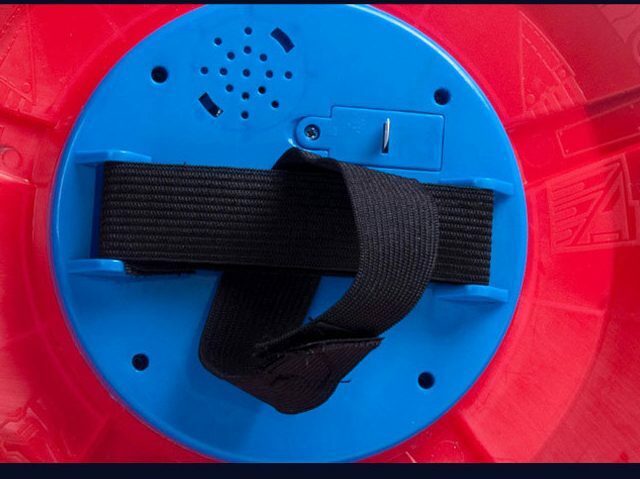 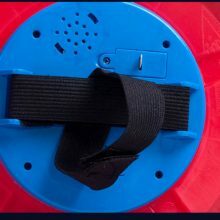 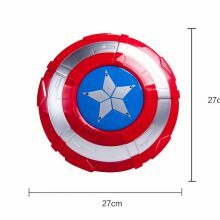 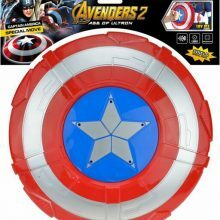 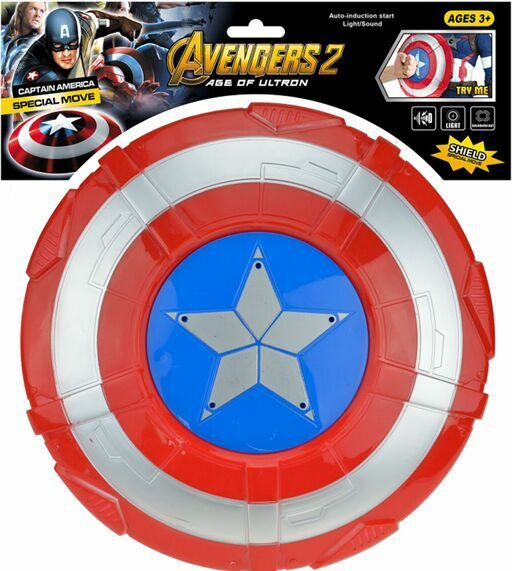 This is the Captain America Shield with Sound and LED Light. 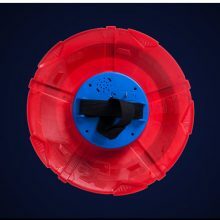 The piece is crafted from PVC and is 30cm in size. 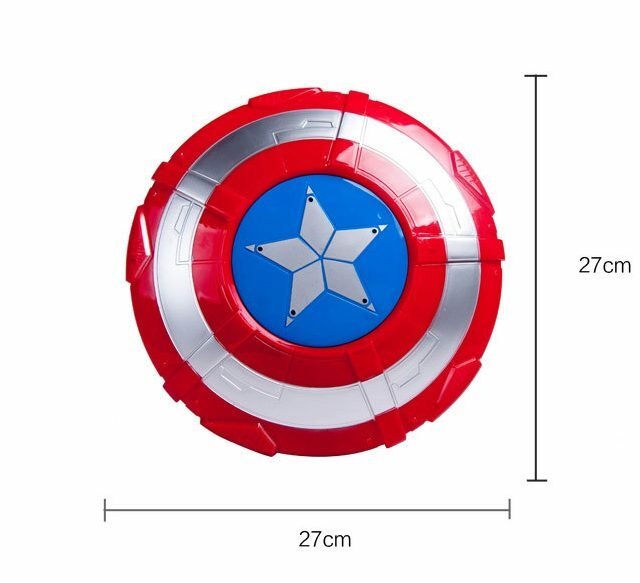 Super-size your crime-fighting skills with a flying shield that looks just like Captain America’s! When you launch this shield at the bad guys, it flies through the air and takes down both the evildoers and their evil plans! 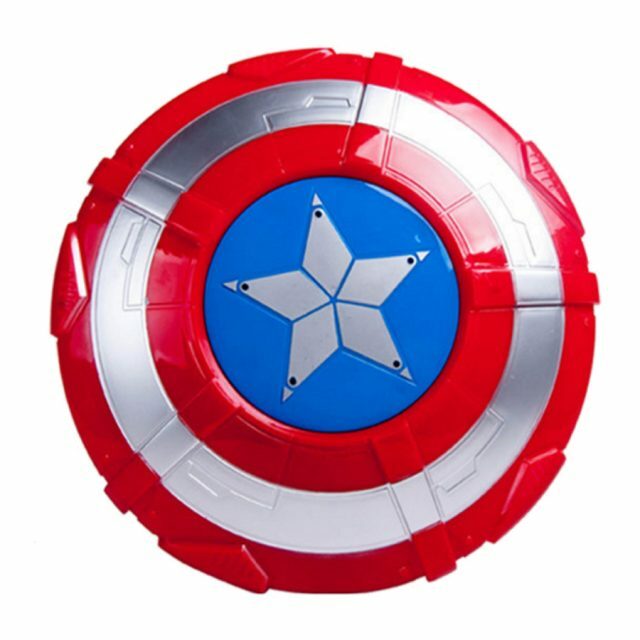 With this high-powered shield on your arm, there’s no telling where your Avengers adventures will take you!